so my thesis work is well underway. at this point in time I am up to 4000 words. Very good considering I have only been doing it two daysI have explored many different avenues in my research and by looking at a high number of sources at this point (mainly written) I have been able to backup the arguments that are seen in my work. I must admit when unstuck with just the writing assignments I do long for the days where I can be creative and throw paint around a page. During one of my random searching session I came across a blog post where an illustrator to keep them selves motivated drew something they did each day. 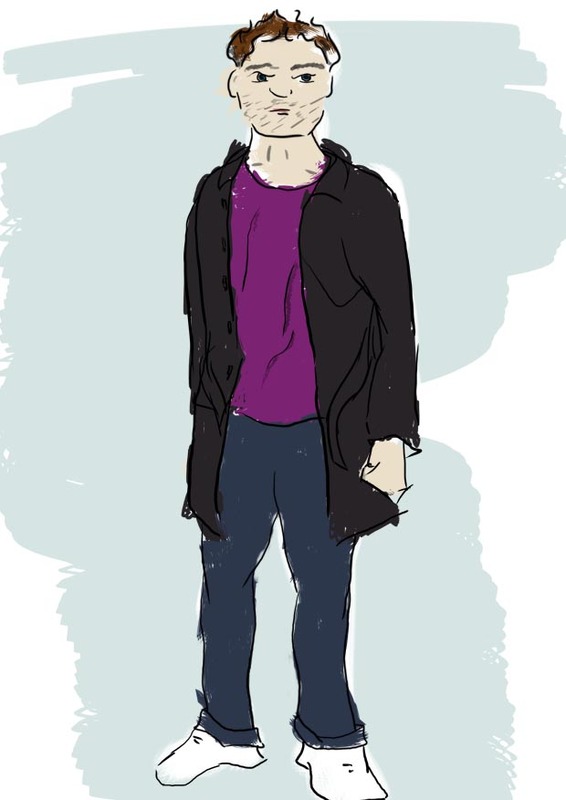 with that in mind last night stop myself getting to bored I decided to do a quick sketch about what I wore that they will stop as obviously close change every day it will hopefully keep my drawing skills at a level that I can still use.